Following the occupation of Crimea in 2014, the systematic repression of the Crimean Tatar, the indigenous peoples of Crimea, , has continued to escalate. This has culminated in 2016, with the ‘banning’ of the Mejlis of the Crimean Tatar people, labelled as an ‘extremist’ organisation by Russian authorities. The banning of the Mejlis has been followed by a range of violations against Crimean Tatars including arrest and detention of Mejlis members, cases of enforced disappearances and arbitrary detentions, as well as targeted banning of cultural activities and religious practice. 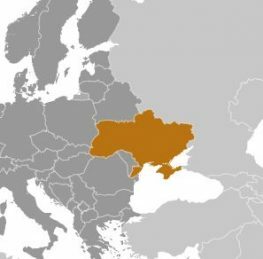 Between March 2014 and December 2016 dozens of cases of enforced disappearances in Crimea have been reported. The majority of whom are Crimean Tatar. MRG calls on the immediate revocation of the ban on the Crimean Tatar Mejlis, and the dropping of all charges against its members. Mister Vice-President, MRG is also concerned by the situation of the Roma community, who remain the most economically and socially marginalized minority community in Ukraine. The Ukraine government has taken a number of positive measures to address inclusion of Roma, including the adoption of the Roma National Action Plan and 2020 Strategy. However, these national initiatives are not properly disseminated at the levels of regional and local authorities, which are the closest to Roma communities, and key actors in terms of implementation. It is imperative that Ukraine provides the financial support for the training and operation of regional and local authorities, including the specific adoption of regionalised action plans. Combating Anti-Gypsyism continues to be essential, to any effective measures to ensure the full enjoyment of rights of the Roma community. The failure to address ongoing discrimination undermines the effective of any Roma inclusion strategies. The pogrom against the Roma community of Loschynivka, in September 2016, in which the entire Roma community of the village was illegally expelled by the village council and was further enforced by police authorities, continues to be unresolved. Six months on, the majority of the population has not been able to return to their homes and victims have received no compensation. MRG therefore calls on the Ukrainian authorities to ensure the safe return of the Roma population of Loschynivka to their homes, and to ensure an open and transparent investigation into the circumstances of their expulsion.